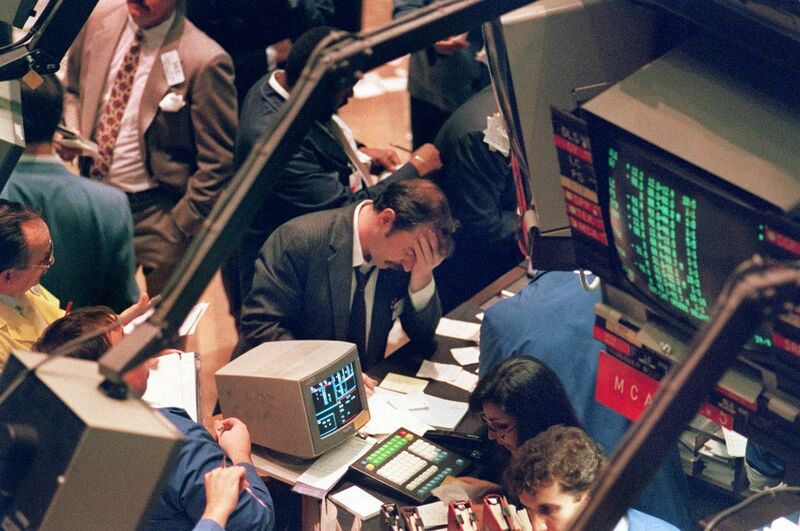 This floor trader most likely isn’t upset over missing the season finale of Charles in Charge, rather can’t fathom the 20% drop the Dow suffered in October of 1987. As of this writing, which is in the tail end of August, it will be about 10 years since the financial crisis of 2008. We’ve been in one of the longest bull market streaks since then, although the pains of the crash are most likely still in the minds of any investor who suffered through it. On a side note, the financial crisis was an example of how not to handle your investment portfolio. First, the crash didn’t happen in a day, rather was a relatively slow bleed. Those who simply held their losses, only to see further drops in the subsequent days endured a type of financial masochism that often leads to an all out desperate liquidation. Look to 10 years later and the folly of such a decision can be seen quite clearly. Secondly, those who suffered the most simply didn’t have a plan for a market correction. If there is any lesson to be learned from 2008, it’s to prepare for the worse case scenario. Markets do not run on a set clock although the cyclical nature of the past 30 – 40 years signals that a correction is due. Prior to 2008 we had the 2000 stock market bubble, going back further there was a brief recession in the early 90s and of course the infamous ’87 stock crash. I’m even getting nervous writing this as my portfolio is loaded with stocks. At the moment I’d get my clock cleaned if we had a repeat drop that we saw in 1987. I feel the current low interest rate, bull market scenario we are currently witnessing is nerve wracking for prudent investors. Simply watching the market steam forward puts FOMO in some eyes while complete fear in others. In neither camp is this fun, it only rewards the most reckless of gamblers. The FOMO camp is wise to expect a crash but it seems never to come and those who sat on cash in the last 5 years probably are not happy with their decision. As I’ve alluded to before, to preserve your capital from a future crash, you have to be prepared. I’ll attribute Peter Schiff to the following thought: surviving a financial crisis is more about preserving your money than making it. Gold is, and will continue to be a flight to safety. Simply pull up a gold chart and look at times of market turmoil, you’ll see gold has risen during these periods. For a variety of reasons (a future article), I’m not a fan of owning large amounts of physical gold. It’s quite easy, though, to diversify into gold stocks. The best part is, you can find companies which offer dividends so you are at least earning something while you wait. Given the market froth, I think it makes alot of sense to move some idle cash into mature gold companies. This idea is especially prudent given the recent slide in gold prices. The word of caution is to do your research. There is a downside to an indirect play on an idea, ie gold will go up so buy a closely correlated derivative, namely that the company can suffer despite the idea being correct. For example, there could be a mining accident during a price boom that will plunge the stock value despite the scenario being correct. This is rare but one of the risks one must always consider. The dollar is very strong in 2018 although the fundamentals aren’t reflecting this: interest rates remain relatively low, the economy doesn’t appear as strong as we’d believe, and the government is doing nothing to curb spending. Given the dollar’s current strength, which appears artificial, another play is diversify away from it in anticipation of a decline. This strategy has a twofold benefit because you can exchange dollars into a different currency and invest in their markets as well. Even if your stocks don’t make much money, you may simply profit from the exchange difference should the dollar fall. This does involve more work but your alternative is to watch your money disappear in a falling market. VIX is a measurement of volatility that one can speculate upon. I liken this play to having a bow and arrow with just one shot. The reason is that timing here is key, VIX will fluctuate based on market volatility, it doesn’t really trend. The idea is to buy when volatility is low, and then shoot the arrow by closing the trade once volatility rises. It’s a timing play but you can’t get greedy. The play here is to build up a long term position in VIX when volatility is low, then take the “insurance policy” when the market crashes. I learned this the hard way by missing out on the volatility that happened earlier this year. Another upside to building a long term VIX position is that you pay no carry or interest charge when holding VIX; as long as you can stomach some short term losses, this will pay out.